I have been away taking care of some things for my paying job and getting my certification but I’m back! I take my exam Thursday so hopefully I will pass and everything will be back to normal. This weekend I attended my first Ironman competition and I have to share my experience. No, I do not have the Ironman bug now (those people are crazy! ), but I do have a huge place in my heart for those competitors now. I think my dad is an absolute lunatic to put his body through that. I get it though. All these other people are doing it, why not me? But why would you pay to be in that much pain (a lot of money at that)? I saw some people come across that line, including him, that should never ever do that again. And I saw a woman in a lot of pain that possibly never crossed the finish line. Yet he’s signing up for another (#lunatic). “It’s not even fun!” was my response to that. We do the things that aren’t fun because accomplishing the goal is. “The days you are most uncomfortable are the days you learn the most about yourself.” True statement. You learn what you can handle and what you can’t – and most times you can handle a lot more than you think you can. You learn what you like and what you don’t. If you’re smart, you’ll use those painful experiences to help make yourself a better person. I didn’t do a painful thing this weekend – that was my dad – but I am going through some other painful things. I’m learning a lot about myself through those things. No, they aren’t as painful as some things that are going on around the world, but that doesn’t make them less painful. It just makes me more grateful. I learned some things this weekend. I, for one, know I never ever want to swim in open waters when it’s 45 degrees outside with 25 MPH winds. I know I absolutely will be volunteering at the finish line at his next race. I love to help and encourage and I want to be there for those people when they have just given everything they have and need someone to carry them home. P.S. Here’s the video of my dad crossing the finish line. 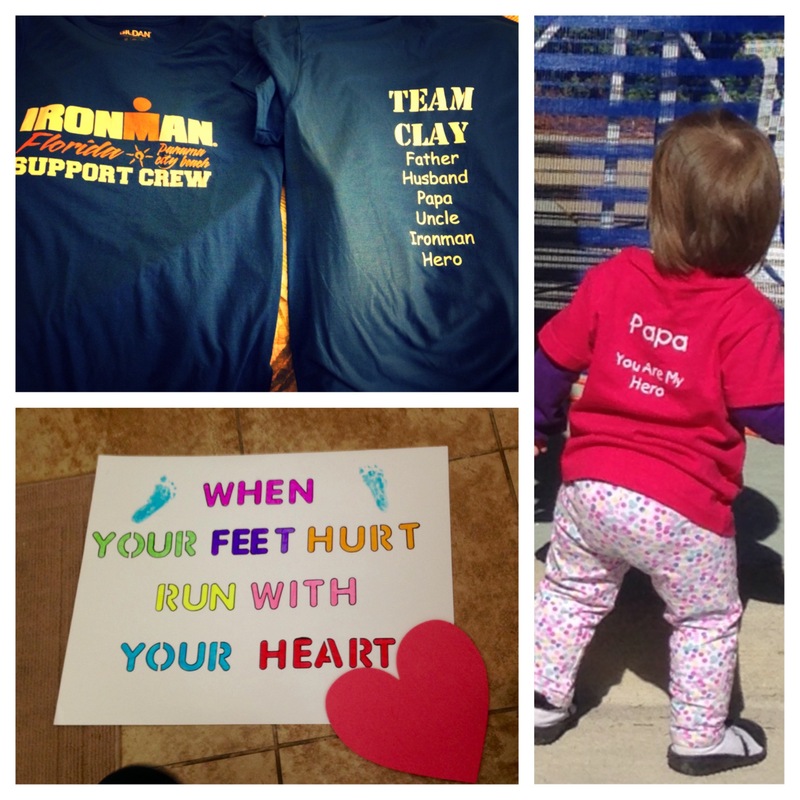 This entry was tagged #IMFL, fitness, ironman, life lessons. Bookmark the permalink.